Buying a horse can be a daunting task. We strive to take the stress away by completing a thorough examination to determine whether or not you are making a sound investment. Every horse we perform a pre-purchase examination on is meticulously evaluated for both physical and medical soundness and behavioral aptitude. 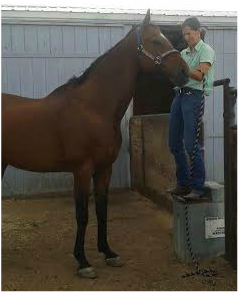 We closely inspect each body system to assess overall health status, conduct a full lameness evaluation, take survey radiographs when requested or indicated, and work closely with you to discern what goals you have for any horse you may purchase. When we conduct a pre-purchase examination you can expect an honest assessment of health and function.